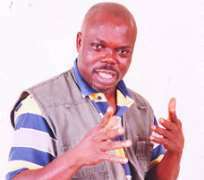 Opa Williams is a well-known name in show business in Nigeria. A graduate of the University of Miami, United States of America, Williams hails... from Isoko North in Delta State. He launched himself into live shows to entertain people with the highly successful Night of A Thousand Laughs,which has become an annual event. He is also a Television drama and movie producer. In this interview with Ada Onwuanum, Williams says what gives him the greatest joy is when he entertains people and they are happy. You are reputed to be one of the people who started home movie productions. Is that right? Yes, you are right. I was in the forefront of what you find today as Nollywood some 15, 18 years back. What is the name of the first movie you produced and what influence did it have on artistes? Deadly Affair was the very first movie I produced. It was a multi-language movie, featuring Yoruba, Hausa, English and Igbo languages. Then, we could shoot movies in Igbo,Yoruba, Hausa or English. But I decided to do it that way. In fact, that was first movie people like Emeka Ike did; the first movie Dolly Unachukwu did, the first movie Sandra Achums did and the first English movie Jide Kosoko featured in. When was that movie produced? As a producer, have you ever acted? Well, I'm a producer. Basically I produce, but once in a while I act very minor roles. Are you still producing home movies now because I can see that you are more on the live shows? Well, I'm into a lot of things. Of course, I do home videos, T.V programmes, live shows. I'm about production, really. My life is about live productions, T.V productions, stage productions. I may not be as commercially visible as I used to be, but I guess you see me here and there once in a while doing different things. Those days, people were not much into production but right now we have many of them. Well, of course, when something grows, we have a lot of multi interests. You understand? Yes, as at then, we were few but you must also know that when something starts, other interests start getting involved and things start increasing. So, right now, we have a lot of people inside to compare how it was then. Also, we had major technical practitioners; people who had been in Television houses and had T.V. Backgrounds. We started all, but now you have everybody coming in, marketers, business men, all coming into it. Are saying that the productions of those days were better? I wouldn't say better or worse; all I am just saying is that then, we had people who knew more about it. Now, everybody comes in and I will leave it to you to judge by yourself which one is better. What is your latest movie? The last movie I did was DYING DAY. It is not a commercial movie really, because I believe that to be a movie, it must have a story. DYING DAY is a comedy movie. From your first movie till now, can you count how many movies you have produced? I think I have produced up to 15 movies. You are into production, T.V series, live shows. Among all these three, which one gives you more money? Sorry, I'm not in it for money. But I think I'm in it for sheer pleasure or doing something people appreciate. You know, making people happy, people knowing that oh! There is something they look forward to. That is what I enjoy. It is not all about the money, I mean you can make money anywhere. Are you telling me that you don't like money? I didn't say I hate money. I'm just saying that you must first of all talk about the interest. By the time you put more interest in it, money will start coming out of it. First of all, it's not about the money. It is about the interest I have. I heard about your new T.V. game show: “TWO CAN PLAY THE GAME.” what do you have to say about it? Well, TWO CAN PLAY THE GAME is a T.V. game show of a kind. What I mean by of a kind is like a talk show rolling into a game show. The essence of it really is change. How do we change our society? How do we make it to a better place? So, we ask a question, we discuss it, relate it to the society; relate it to the family; moral questions and all that. It is a family game show. I can now see that you preferred doing live shows than producing home movies? No! no! no! Far from it. It is a question of a farmer and his land. You are a farmer and you have a land. Are you going to be planting yam all the time? Sometimes, when a yam is mature, you plant pepper. Shortly after, you plant corn in the same farm. But, you don't plant all at the same time. That is it. So, it's not that I prefer doing live shows. It is just that I am very dynamic. Talking about live shows, can you tell me how the Night Of A Thousand Laughs started? We needed to do something different and a concept that a whole family would go, that people could really enjoy themselves without tribe, colour and age and all that. We needed something that would make a family event and we found out that laughter, comedy is one of those things. That was how it came about. Do something different, do something people around will really appreciate. What were the challenges you faced starting it? Well, when you want to start something, it is always like try to dive into the unknown and you don't even know where to face you definitely know that you are entering a bush. You know that entering a jungle in the thick of the night, two things will happen: it is either an animal will eat you or you eat the animal. So, there were a lot of challenges. Oh! no. For the first five years, there was no sponsor. But we enjoyed it, people love it. Now there are a lot of comedy live shows, how do you cope with the competition? I don't think there is a competition. We are not competing, we have different brands now in comedy shows. It is for you to understand your brand, your target audience and satisfy them. They are more of a complementing us than competing with us. One has to be up there, some are down there. We have premium brands in any product and you have a follow brands. There is no competition. We just do our best. We try to innovate. Ours are hundred percent comedy shows. Are you now telling me that you are one of the people that are up there? I don't know. My audience speaks for me. But I know that I have a premium brand. I'm the first comedy show. Have you ever been disappointed at any of your shows, like people not turning up? No! no! I have a headline. You know, you do your plan, we take a lot of time to do our planning before we go to any show. It's either we cut the show off or we do the show and once we do the show, we are very sure of our turn out. We are very sure of our content. It is not “let us go and do shows” But we take our time, we plan it. We don't just say, “let us go and do a show in Owerri” and we have never witnessed any accident. Apart from night of the Nite Of A Thousand Laughs, do you have other live shows? Yes, I have a National Comedy Award. I have a National Dance Championship. I have Evening, which is an event concert for the high. And of course I have one I do regularly during Christmas in local places which we call MBUFU is a music by us, for us. We never heard about your family do you have any? Of course, I have a family . But just that I'm a tree and my family is my root, you never see a tree and see his root. You have to dig it to get his root. God. I mould myself in the words of God. Do you have any regrets so far? You see, it is not by my making that I am here today with you. Jesus said I came to fulfill the prophecy. That means He came to fulfill the prophecy, which means that what will happen has been written down. So, I can not regret what has been written for me, I can only be happy with the kind of life I live. What do you have to tell people aiming to be like you? Let them be themselves. They have their own destinies. Be focused. Know what you are supposed to do. Know your strengths, identify your opportunities, pray to God for wisdom to identify them. Above all, don't walk away from whatever Supreme Being you believe in because you need the Supreme Being.